We are offering Homefront Steam Keys for only £16.54!!! That’s right! £16.54! This is a LIMITED TIME promotion so buy fast before the prices goes back up again. Only £16.54 for limited time only! 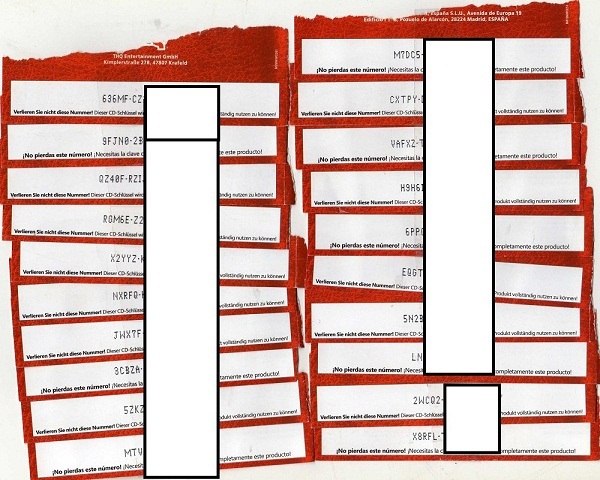 These activation codes are SCANNED images which means that you receive the serial taken directly from a brand new and sealed retail box, sourced from within the EU. Simply enter this code into steam (or a retail game installer) and the game will immediately install. These are NOT generated keys. They are authorised, unique, and unused keys. So what are you waiting for? Buy homefront steam download NOW by clicking here! Possibly the Cheapest price for online homefront serial available on the internet today? CJS CD Keys could well be the most cheapest place on the entire internet to get homefront for steam. On their HOMEFRONT PC PRODUCT KEY page, they are selling it at an incredible £19.99. That’s over £12 GBP under the retail price! These keys are delivered instantly via autokey system. On the initial release of the game, there were a few delays as the huge demand for the game meant that there was a few hours delay before the keys arrived. But now, CJS CD Keys are back on track and delivering the homefront serials instantly. What Are Homefront CD Keys? Homefront CD Keys are activation codes which are entered into the game installation screen in order to authorise your game copy for legal use. CD Keys are put in place to prevent illegal copying of the games. Usually, CD Keys are provided within the sealed retail pack of physical PC DVD’s that customers buy from brick and mortar stores. CD Keys are unique and can usually only be activated once per user. Some publishers such as EA And Steam make the product keys from retail packs also function on download managers such as EA Download manager and steam. This means that you can enter the homefront serial number into steam and it will allow you to a digital download, in case that you might lose or misplace your physical disc. CD Key shops such as CJS CD Keys buy in bulk retail packs from other countries. We take the activation codes from sealed brand new games and sell them as digital downloads. Our homefront serials are available a day before release date. This means that you can activate the code in Steam and actually pre-load the game. This means not only do you get instant delivery, but you can play the game at midnight of release date. When you download the game before release date, the game files are encrypted and it won’t let you play. But then, at midnight the game will unlock and allow you to play. Since you already have the game files fully downloaded, you can instantly play SECONDS after global release! So what are you waiting for? £19.99 ($30) is simply the best price you will find anywhere on the internet for such a cool game like homefront. CJS CD Keys are now offering HomeFront Steam Key scans at just £19.99 each which is equal to about $30 USD. The keys can be collected instantly from their autokey system, which will grant you to an instant digital download. They are EU scans. This means that they are images of the actual activation code which can be downloaded from the steam client. You can buy it now by clicking the below link. You get instant delivery! Buy now! Don’t delay! only £19.99! Delivery will be instantly on release date of the game.